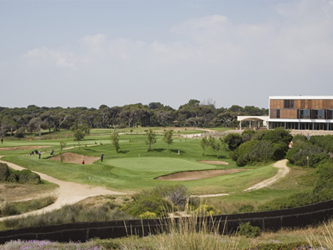 The Parador de El Saler, Valencia Golf course is considered by professionals, amateurs, institutions and the specialized press alike to have one of the best course layouts in the world. 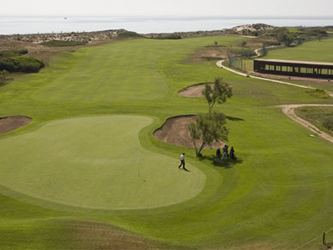 Built in 1968 by the internationally recognized architect of Spanish golf, Javier Arana, the course is located in the El Saler Nature Reserve, on the shores of the Mediterranean sea in the Autonomous Community of Valencia. This Community is a leader with respect to economic development in Spain, and considers this course a source of pride. The courses design took into account its integration in the protected landscape with native plants such as the famous pale stonecrop plant, locally called cats claw. The course layout is varied, ranging from the beach links reminiscent of the famous Scottish golf courses, to areas of typical Mediterranean forest. 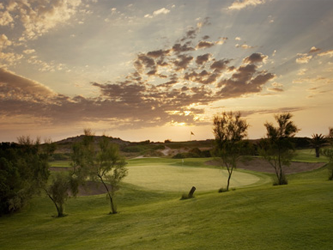 The par-72 course measures 6.042 m, spread out over 18 holes.